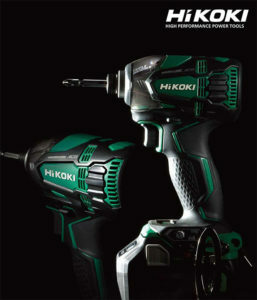 We all know the Hitachi brand as Hitachi but did you know their power tool division is actually called Hitachi Koki? It probably doesn’t matter any more since they are now combining the name down to one word as Hikoki. 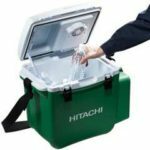 What’s strange about this news is that the change hasn’t been announced for Hitachi USA but has been announced in Australia, New Zealand and then also in Norway about the new name change. 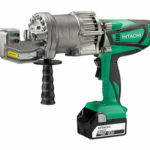 I am not sure if this name change will make it’s way along all of Hitachi’s country branches including the USA branch but I wouldn’t be surprised if it did. In the above picture we can also see that some of their power tools already have the new Hikoki name as their brushless 18V triple hammer impact driver is already sporting the new name. 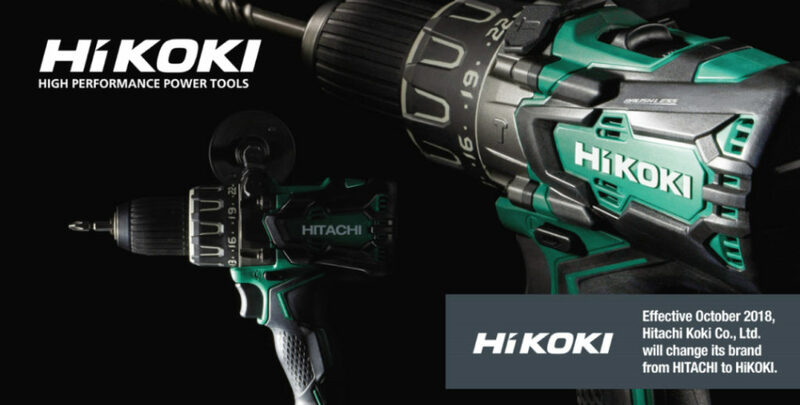 According to Hitachi Power Tools CO.NZ which I believe is New Zealand, they have announced that the new name will be in effect starting October 2018. 2017 has ushered an exciting, fresh start for our company. We have committed to accelerate growth alongside a dynamic new partner as we pursue our goal to become a global leader in power tools and life-science instruments. As part of this new chapter, I’m proud to announce that we will change our company name to Koki Holdings in June 2018. And, with great excitement, I’m thrilled to announce that effective October 2018, our current brand “HITACHI” will become a new brand known as “HiKOKI”. What do you guys think about the new name Hikoki? Here in the USA Hitachi is more known for their electronics like TV’s and such but brand awareness is not there like more popular brands like Sony or Samsung. 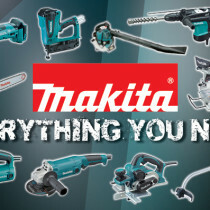 Their power tool division isn’t known very well either when compared to brands like Dewalt, Makita and Ridgid unless you frequent the Lowe’s tool isles or follow Tool Blogs such as Tool Craze. I feel the new Hikoki name will only alienate themselves even further from the average population. A big thanks to Cody Robertson for sharing this news with us! Maybe things are different in other countries, but that move, if it happens, would make no sense in the US. Zero recognition, and “Hikoki” just sounds like one of the myriad generic importers you see everywhere. How that could be better than a recognized Japanese industrial giant is beyond me. 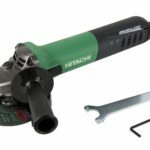 Unless there is some huge marketing push behind this (which I highly doubt), consumers will regard it as just another generic Hazard Fraught-quality power tool dumped on out shores. Changing names is a huge risk and has the potential to dramatically reduce sales. A good example of this was Nissan Japan forcing a name change from Pulsar to Tiida in Australia. Nissan staff and dealers in Australia fought it but lost. Nissan’s arrogance in this decision was repaid by having a car that was a top ten seller reduced a lowly outsider. It probably didn’t help that it was an abysmal car either lol. Are you sure that this isn’t some kind of off-season April Fools joke?